What is The Best Baby Carrier For Bad Back? If you want the fast answer for our personal recommendation for the best baby carrier for a bad back, we like the Boba 4G. As much as you would want to carry your baby using a carrier, it might be hectic especially if you have a bad back. The good thing is that there are special carriers which are designed to spare parents the hassle of carrying their toddlers using their backs. Such carriers allow parents to use other parts of their bodies, particularly the front, side, and waist. Selection of baby carriers for bad backs must be done with utmost keenness. The carrier you get should not cause you more back problems. Instead, it should help you evade any form of aggravation. 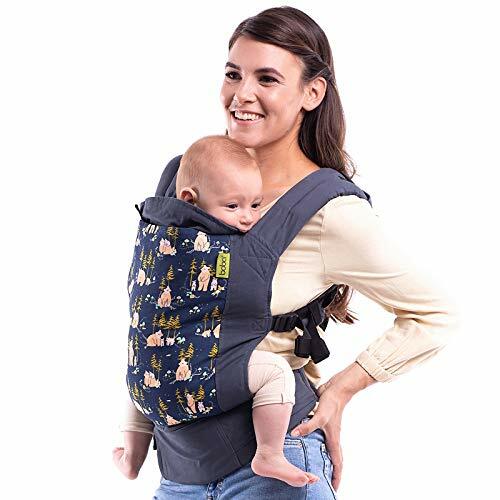 In a quest to find the best baby carrier for bad back, I have reviewed various products and found below four carriers the best for your back. There is a mix of soft structured carriers, baby wraps, and hip seat carriers. They all keep the baby in tight so that the weight is close to your center of gravity, and distributes the weight in a way that reduces the stress on your back muscles. If you have a problem with your back, it simply means that you should search for a baby carrier that offers a different carrying position. In this regard, you should avoid carriers which are designed for the back. Instead, carriers that allow parents to carry their toddlers using the front and side parts of the bodies should be opted for. Comfort for parents with bad backs is something very fundamental. In this regard, you should consider a carrier that distributes the weight of your baby evenly. You should also ensure that the carrier straps are wide and properly padded to ensure that your back is comfortably covered. You will realize that some carriers are made of heavy materials. Such a carrier alongside the weight of your baby will only make you strain. This may be an added problem to your back pain. A baby carrier that is lightweight is the best for parents with bad backs. If the baby is kept at a slant angle, it means that you will be forced to bend forward. This may instigate further back complications. It is advised that you place your baby in an upright sitting position to ensure that your back is also upright. To ensure that the baby is in a stable position, you should harness the straps. This also works in ensuring that your back is stable and does not strain in any way. The baby should be carried in the front position as opposed to the back. This is to avoid overburdening the back. For side carriers, it is essential to ensure that you properly wrap your back. A carrier that has Wraps instead of straps should be considered at this juncture to ensure ample coverage and support for your back. The Boba 4G Carrier has an unique ergonomic design and it makes this carrier the best. One of the prime advocating features for this baby carrier is the fact that it can accommodate babies of between 0-48 months. This means that the carrier will see your baby through infant and toddler stages. The carrier is super-strong to bear such weight. The duo baby carrying position offered by Boba 4G carrier serves as an ideal solution for parents with back pain. It can either be carried from the back or front positions. Parents with bad backs can use the front carrying position. More to the point, the carrier allows for 2 insert position for your infant. You can either carry your baby facing forward or backwards. Baby weight is evenly distributed by this carrier to ensure that you do not strain your back whatsoever. The removable sleeping hood alongside foot straps ensures that your baby is not only comfortable but secure at the same time. This baby carrier serves as a perfect match for parents with bad backs since it offers 4 carrying positions. You can opt to carry your baby from the back, side, front or even waist positions. This means that if your back cannot allow you to carry your baby using this carrier, other positions can still be opted for. One thing for sure is that comfort for both the parent and child is fully assured. The ergonomic interior design of this carrier ensures that your baby does not experience fatigue or even injuries. It offers a frog-leg sitting position which is perfectly complemented by full padding. What’s more, this baby carrier is strong enough to withstand the weight of between 7 and 33 pounds. This implies that you will not have to buy another carrier until your baby turns into a grown toddler. In addition, the carrier allows for even distribution of weight to minimize back strain when carrying your baby. No products found.Moby Wrap Original carrier is made of pure cotton which renders it an ultimate baby complement especially for cold season. It is designed in a manner that your baby will experience utmost warmth. Important to note, warmth in this carrier comes in handy with comfort. The high-quality cotton used in making it offers a tender resting position for your baby. The most ideal carrying position for parents is the front. This particular carrier is designed in a manner that your back is properly covered while your baby takes a comfortable rest in the front. For those with delicate backs, this baby carrier can serve as the best solution. The strong and secure attachments for parents ensure that your baby is held in perfect position for the duration that he will be in the carrier. It might interest you to know that the carrier is strong enough to withstand up to 35 pounds. The even distribution of baby weight that the carrier offers is an assurance of minimal back strain for those with complications. Mastering the wrapping technique will take practice! The Nimnik Baby Carrier includes a Hip seat in the design. This can take some of the weight off your back and distribute this across the hip and pelvic area. 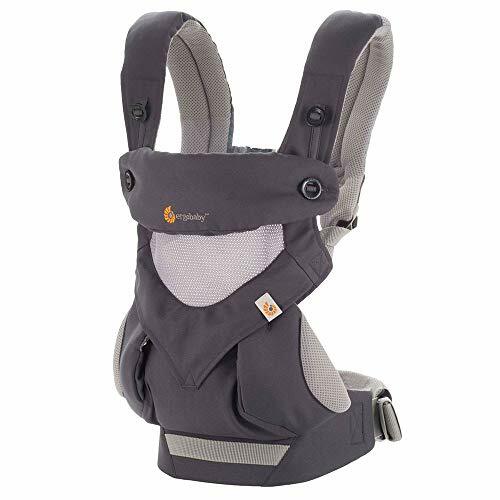 Whether this style of carrier is suitable for your condition will mostly depend on your frame. If you are small and petite you may have trouble with the hip seat. It can dig in and be uncomfortable for some. Definitely an option worth exploring if you have had trouble finding that relief, and don’t want give up baby wearing just yet. The great thing about most hip seat designs is that you can remove the hip seat when not needed, and you can also remove the shoulder straps and just use the hip seat. Great for when around the house and you need that extra bit of pressure taken off. A very versatile and flexible carrier. The fact that you have some health problems on your back does not mean that you are fully denied the chance to move around with your baby. It is just a matter of choosing the best baby carrier for your back. That way, you will enjoy utmost back comfort without any chances of aggravation. 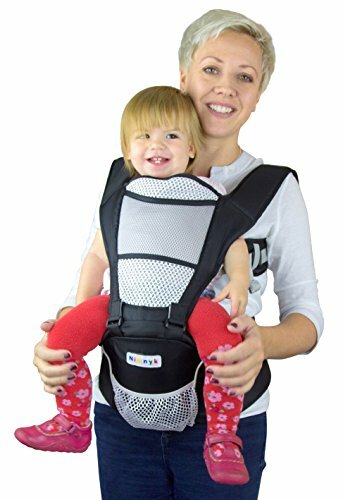 PrevPreviousBest Baby Carrier for Hiking – Family Outdoor Fun in Safety and Comfort!